We are excited to celebrate the launch of new GlobeRadio.org, as well as our new video broadcasting platform, Globe TV. We will have a party on February 11th to celebrate the new site, new look and the launch of Globe TV by showing off the newly renovated TV studio. The launch party will be in the studio from 3 p.m. to 5 p.m. in the basement of the Good Library, where you can grab some refreshments and hang out with the Globe staff. Globe TV is an exciting addition for our Goshen audience which will add video content through our new platforms Globe News and Globe Sports. Globe News will offer more Goshen community news and Globe Sports is adding more video to its award winning Goshen College Maple Leaf Athletics coverage. Globe News, in addition to the radio news reports, will add video stories featuring human interest and music news in and around the Goshen community. New video stories will appear on this site, as well as our social media pages. Our monthly TV studio show, “The Globe News Report,” will also recap the months best stories. Globe Sports will also add “The Globe Sports Corner,” a weekly studio show with in-depth video features and interviews with athletes, coaches and administrators, to the station’s coverage of Maple Leaf Athletics. The program also offers some highlights from Maple Leafs in action at their sporting events. 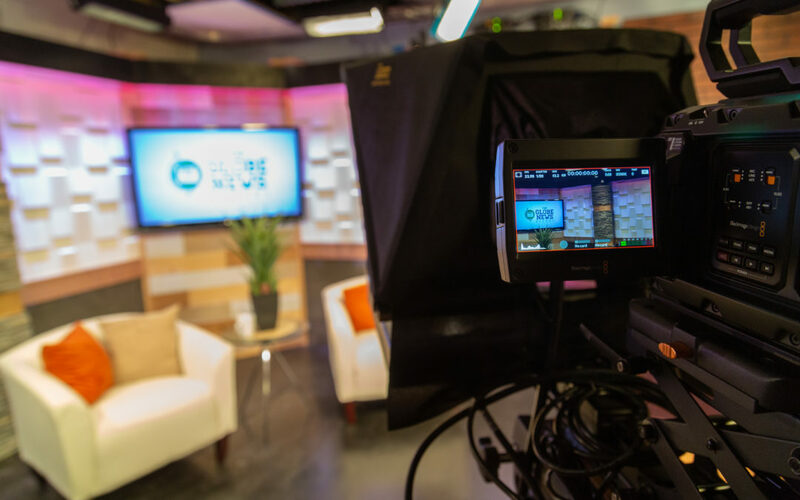 Stations all over the country are taking a converged media approach to broadcasting. We have always strived to give our students hands on realistic industry experiences and this new initiative falls right in line with our Goshen College Communication department’s philosophy and educational goals. It’s hard for professionals in broadcasting to focus just on radio or TV and we are striving to give our students the tools to succeed in a changing industry. The new website globeradio.org allows you to stay up to date with the Globe’s music, news, and sports features. As our rebranding took place last semester and Globe Media was launched at the Globe’s 60th anniversary celebration, we are excited to show you the hardwork and dedication from the students and staff in the last few months and where the Globe is at now. Come see for yourself on February 11th, from 3 p.m. to 5 p.m. in our new studio!